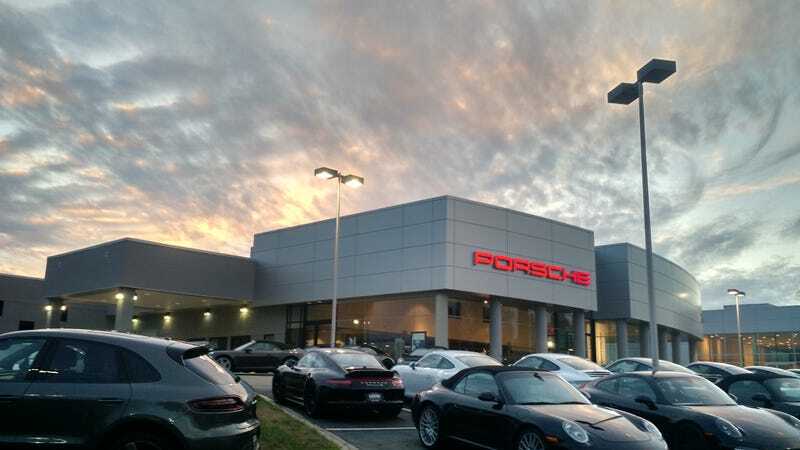 Last week I went to Leith Porsche of Cary, to check out the vehicles on the lot. And they had some truly great vehicles in stock. I really dig the chunky five-spoke wheels on the Macan. My favorite car in stock had to be this manual 911 C4S with the sport seats, Sport Chrono, and sports exhaust. Oh yeah, and it had a duck tail. See, I know we don’t need AWD in North Carolina, but it does have a handling advantage. And this all black example is so hot. We’ve got some air-cooled love right here. Too bad it was an auto, though. If I were to buy a 911 right now, it would have to be the GTS. It’s got the luxury from the Carrera line, yet it has parts and the power the track monster GT3 has. It was definitely a great day at the Porsche dealer. And through this exercise, I learned my Moto X 2nd Gen takes some quality photos.